Among the independent nations recognized by the UN, the Danish flag is generally considered as the oldest continuously used national flag in the world. 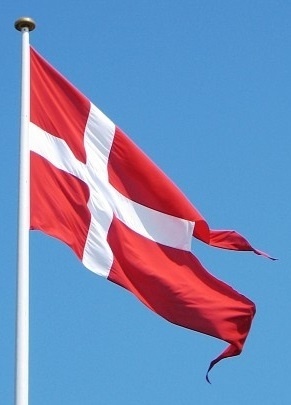 Regions, counts, kings and the like have had flags or banners older than Dannebrog, but no sovereign nation has used the same flag as long as Denmark. Legend relates that the "Dannebrog" fell from the skies on 15 June 1219, the day in which King Waldemar II defeated the Estonians in battle. The cross represents, unsurprisingly, Christianity. Every year we celebrate the flag day in Estonia.